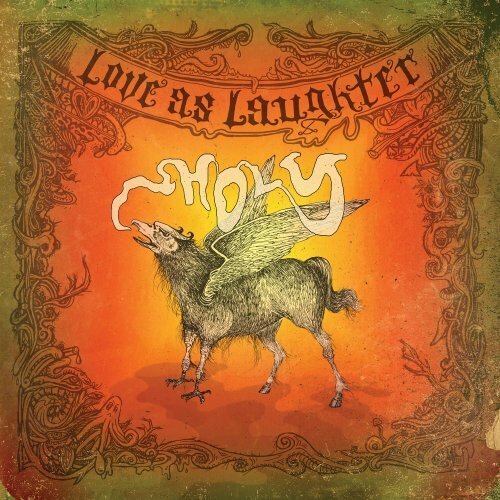 What is "HOLY LAUGHTER" ? The term "holy laughter" was coined to describe a phenomenon during which a person laughs uncontrollably, as a result of being filled with the Holy Spirit's joy. It is characterized by uncontrollable laughter, sometimes accompanied by swooning or falling down to the floor. First-hand accounts from those who have experienced this, believe it to be a sign of a "blessing" or an "anointing" of the Holy Spirit. 11Cretes and Arabians, we do hear them speak in our tongues the wonderful works of God. 12And they were all amazed, and were in doubt, saying one to another, What meaneth this? 13Others mocking said, These men are full of new wine. 15For these are not drunken, as ye suppose, seeing it is but the third hour of the day. If you look at verse 13, the first thing you see is that only some said they were drunk. Second, those who identified them as drunk were scoffers. “we do hear them speak in our tongues." Peter, in fact, spoke so powerfully that 3,000 people stampeded their way to Calvary. Leaders of this "Counterfeit Revival," like Rodney Howard-Brown and John Arnott, seem bent on convincing their audiences that the apostles were manifesting all of the characteristics of drunkards. "Why did they think the believers were drunk?" asks Rodney Howard-Browne. "Because they must have acted like drunk people". In truth, the Bible gives no evidence that the believers “acted like drunk people.” The only behavior disclosed and discussed in Luke’s narrative is speaking in tongues. 4And they were all filled with the Holy Ghost, and began to speak with other tongues, as the Spirit gave them utterance. 5And there were dwelling at Jerusalem Jews, devout men, out of every nation under heaven. 6Now when this was noised abroad, the multitude came together, and were confounded, because that every man heard them speak in his own language. 7And they were all amazed and marvelled, saying one to another, Behold, are not all these which speak Galilaeans? 8And how hear we every man in our own tongue, wherein we were born? There is therefore no basis whatsoever in the text for imagining or attributing any other action or conduct (such as laughing, falling down, etc.) to those Spirit-filled believers. Another verse commonly misrepresented by Laughing Revival advocates encap­sulates Paul’s admonition that we should “not get drunk on wine, which leads to debauchery. Instead,” Paul urges, “be filled with the Spirit.” Being “drunk in the Spirit,” according to holy laughter factions, is the God-ordained counterpart to being drunk on alcohol — hence, the rationale for the inebriated-like state and behavior of those caught up in holy laughter. A careful examination, however, reveals that in no way can this pas­sage be legitimately used to support “spiritual drunkenness.” To begin with, there is no reason to equate being filled with the Spirit with any form of “spiritual drunkenness.” In fact, the context of the passage indicates a consistent use of contrasts to differentiate ungodly behavior from godly conduct. For example, sexual immorality is contrasted with holiness (v. 3). Coarse jesting is contrasted with thanksgiving (v. 4). 4Neither filthiness, nor foolish talking, nor jesting, which are not convenient: but rather giving of thanks. Foolishness is contrasted with wisdom (vv. 15—16). Likewise, drunkenness is contrasted with being filled with the Spirit (v. 18). 16Redeeming the time, because the days are evil. 17Wherefore be ye not unwise, but understanding what the will of the Lord is. Nowhere is there even a hint of the kind of erratic behavior promoted in Laughing Revival circles. It is patently absurd to say that “spiritual debauchery” is the God-ordained counterpart to “plain old debauchery.” Or that precedents for indulging in “holy immorality,” “holy impurity,” and “holy greed” can be found in the Bible. Yet if “holy laughter” advocates are to stay consistent with their interpretation of verse 18, no other conclusion can logically follow — for the type of reasoning they use in claiming a biblical basis for so-called “spiritual drunkenness” can also be used to justify other “sanctified” acts of debauchery, immorality, impurity, and greed. The most convincing Scriptural argument against what is called "holy laughter" is found in Galatians 5:22-23. 23Meekness, temperance: against such there is no law. 5But watch thou in all things, endure afflictions, do the work of an evangelist, make full proof of thy ministry. With so much emphasis on “self-control” and sobriety, the burden falls upon holy laugh­ter proponents to reconcile their views with Scripture — a formidable, indeed impossible, undertaking. If self-control is a fruit of the Spirit of God, how can uncontrollable laughter also be a fruit of His Spirit? Revival leaders claim that being "filled" with the Spirit means that we are sort of "tossed about" by His whims. But the idea that God would make people act drunk, or laugh uncontrollably, or make animal noises as a result of the Spirit's anointing is directly opposed to the way the Spirit acts, according to Galatians 5:22-23. The Spirit described in Galatians 5 is one that promotes self-control within us, not the opposite. Finally, there was no one in the Bible more filled with the Holy Spirit than Jesus, and not once does the Bible ever record Him laughing. 11These were more noble than those in Thessalonica, in that they received the word with all readiness of mind, and searched the scriptures daily, whether those things were so. Even a cursory examination of the Scripture-twisting tactics of men like Rodney Howard-Browne and John Arnott reveals their propensity for taking Scripture out of context to develop a pretext for their convoluted notions. This is why today, more than ever, it is incumbent upon believers to be so familiar with the truth that when a counterfeit looms on the horizon, they will know it instantaneously. Here are some concerns about "holy" laughter and "the laughing revival." (1) There is no biblical precedent for "holy" laughter. Laughter is rarely mentioned in the Bible. Yet, when it is, the Bible seems to make more of a case for holy sorrow than for "holy" laughter. Scripture supports Solomon's contention that "sorrow is better than laughter." It does not support the present "laughing revival." (2) Substituting the word joy for laughter is a non sequitur. It is inaccurate and misleading. There is no scriptural authority for equating biblical references to joy with the involuntary manifestations of "holy" laughter. Just because there are insufficient Bible texts to make the case for "holy" laughter, it does not follow that you can simply redefine the word laughter by substituting the word joy. (3) "Holy" laughter advocates rarely, if ever, discuss the need to "test the spirits." The Bible warns us that not every supernatural manifestation is necessarily from God. 1Beloved, believe not every spirit, but try the spirits whether they are of God: because many false prophets are gone out into the world. (4) "Holy" laughter advocates rarely, if ever, talk about the Spirit's express warning that in the latter times some people will be supernaturally seduced by deceptive evil spirits into following them and not the one true God. 4For if he that cometh preacheth another Jesus, whom we have not preached, or if ye receive another spirit, which ye have not received, or another gospel, which ye have not accepted, ye might well bear with him. (6) Many laughter advocates condescendingly discourage and even openly intimidate sincere Christians who question the "laughing revival." According to the August Charisma article, Rodney Howard-Browne "disparages" people who "try to apply theological tests" to what he does. The Hunters' book Holy Laughter refers to skeptics as God's "frozen chosen." Mona Johnian writes, "skeptics, hesitaters and procrastinators do not get anointed." She warns "that any person or church that wavered could be eliminated." (7) Rodney Howard-Browne's prayer to God just prior to his "anointing" ("either you come down here and touch me or I'll come up there and touch you") was unscriptural. Howard-Browne's prayer was the essence "my will be done." It was not "thy will be done," as taught by Jesus in scripture. Why should we automatically assume that it was God who answered his prayer? (8) "Holy" laughter advocates, in talking about "signs and wonders," rarely, if ever, mention the Bible's many warnings about deceptive signs and wonders. 4A wicked and adulterous generation seeketh after a sign; and there shall no sign be given unto it, but the sign of the prophet Jonas. And he left them, and departed. (9) "Holy" laughter advocates seem to lay hands on almost everybody. The Bible specifically warns against this. 22Lay hands suddenly on no man, neither be partaker of other men's sins: keep thyself pure. Yet "holy" laughter is passed on from person to person without so much as a second thought. (10) "Holy laughter advocates blatantly disregard the biblical admonition that things be done decently and in order. Mona Johnian in her book Fresh Anointing says, "decently and in order! We must do things decently and in order. The Bible itself commands it, cry those who are frightened by that which is beyond traditional order" (p. 35). She advises her readers to "break with tradition" (p.45). (11) The chaos and confusion that usually characterizes the "laughing revival: contradicts the Bible's description of the Person of God. (12) Laughter advocates rarely if ever, discuss the well documented demonic deceptions that have manifested in past revivals. To combat the deception that arose during the Welsh revival at the turn of this century authors Jessie Penn-Lewis and Evan Roberts wrote "War on the Saints: a disclosure of the deceptive strategies used by evil spirits against God's people." Both were very involved with the revival and were extremely concerned about the demonic manifestations that began to dominate their meetings. The forward to War on the Saints warns of "the grave dangers that beset the path of uninformed enthusiasm." (13) A number of Christians have experienced the equivalent of "holy" laughter when they were in the New Age. Indian Guru Bhagvhan Shree Rajneesh was affectionately known by his followers as the "divine drunkard" because he was reputed to have drunk so deeply from the well of the "Divine." Hundreds of Sannyasins had flown to India "to drink" from "Bhagwan's wine." When followers were physically touched by Rajneesh, or even if they were merely in his presence, they would often experience feelings of great exhilaration and joy. Disciples of Swami Baba Muktananda would often manifest uncontrollable laughter after receiving Shaktipat (physical contact) from the guru. (14) The "laughing revival" could one day merge with what the New Age calls the coming day of "planetary Pentecost." Barbara Marx Hubbard, (revered New Age leader and a 1984 Democratic nominee for the Vice Presidency of the United States), writes in her book, Teachings from the Inner Christ, how the human race will soon experience a day of "Planetary Pentecost." Hubbard, claiming to be in contact with "Christ," writes: "the Planetary Smile is another name for the Planetary Pentecost. When enough of us share a common thought of our oneness with God, Spirit will be poured out on all flesh paying attention" (p.79). In her book The Revelation, Hubbard says "Christ," in describing the planetary smile, said: "an uncontrollable joy will ripple through the thinking layer of the earth. The co-creative systems, which are lying psychologically dormant in humanity will be activated. From within, all sensitive persons will feel the joy of the force, flooding their systems with love and attraction...as this joy flashes through the nervous systems of the most sensitive peoples on earth, it will create a psycho magnetic field of empathy, which will align the next wave of people in synchrony, everywhere on Earth. This massive, sudden empathic alignment will cause a shift in the consciousness of Earth" (p. 234-235). Writing in Happy Birth Day Planet Earth, Hubbard repeats what she heard from "Christ." He said, "as the planetary smile ripples through the nervous systems of earth, and the instant of co-operation begins, and empathy floods the feelings of the whole body of Earth, separation is overcome, and I appear to all of you at once (p. 10-11). The controversy over "holy" laughter is already splitting congregations and causing deep divisions in the body of Christ. And while many people have already taken sides, there are many more who are still trying to figure out just what is going on. Is this really a move of God, or is this the kind of deception the Bible warns about in Matthew 24, 1 Timothy 4:1, and in the second chapter of Thessalonians? Unity is indeed the heartfelt desire of every sincere Christian. 1Behold, how good and how pleasant it is for brethren to dwell together in unity! But the Bible warns of massive deception that will come at the end and in Christ's name. Before the Church--in the name of unity--free falls into a worldwide "laughing revival," we had better be sure what it is we are uniting with. In reflecting on "holy" laughter during these very troubled times, a music special in the midst of an otherwise polite Hollywood type crowd, a male vocalist sang straight faced and sober into the teeth of their celebration. His words were electric and piercing, and they seemed to hang in the air. He sang, "you're laughing now, but you should be praying. You're in the midnight hour of your life." 1) Kundalini Energy is typically described as a powerful energy source lying dormant in the form of a coiled serpent at the base of the human spine. When freed it reputedly has the capacity to effect great physical healings. Christina and Stanislov Grof, New Age authors of the book The Stormy Search for the Self, describe how the awakening of Kundalini energy can be triggered by an advanced spiritual teacher or guru. And how the awakening can bring up memories of past psychological traumas. The Grofs state that "individuals involved in this process might find it difficult to control their behavior; during power rushes of Kundalini energy, they often emit various involuntary sounds, and their bodies move in strange and unexpected patterns. Among the most common manifestations . . . are unmotivated and unnatural laughter or crying, talking tongues . . . and imitating a variety of animal sounds and movements" (p. 78-79). The Grofs state that "careful study of the manifestations of Kundalini awakening confirm that this process, although sometimes very intense and shattering, is essentially healing." Bwagwhan Shree Rajneesh, the former Oregon guru tells one of his followers in his book, Dance Your Way To God, "just be joyful . . . God is not serious . . . this world cannot fit with a theological god . . . so let this be your constant reminder - that you have to dance your way to God, to laugh your way to God" (p. 229). Often referred to as being "drunk on the divine," Rajneesh encouraged his followers to come and "drink" from him. Bahgvan's spiritual "wine" was often passed along with a single touch to the head. Many of his Sannyasins would fall to the floor in ecstasy after their encounters with Rajneesh. Ramakrishna, an Indian saint, "daily went into 'samahdi,' a trance in which one involuntarily falls down unconscious and enters a rapturous state of super-conscious bliss (ananda), complete with beautiful visions and often involving astral projection. These states could last anywhere from a few minutes to several days and were often accompanied by uncontrollable laughter or weeping. He could send others into this state with a single touch to the head or chest" (unpublished article by John Rice on file at SCP). Swami Baba Muktanada would transfer what was called "guru's grace" to his followers through Shaktipat (physical touch). This "grace" triggered the gradual awakening of the Kundalini which in turn produced various physical and emotional manifestations. Manifestations included uncontrollable laughing, roaring, barking, hissing, crying, shaking, etc. Some devotees became mute or unconscious. Many felt themselves being infused with feelings of great joy and peace and love. At other times the "fire" of Kundalini was so overwhelming they would find themselves involuntarily hyperventilating to cool themselves down (Per former Muktananda follower Joy Smith). 3) Qigong (ancient Chinese practice) Yan Xin, a Chinese Qigong master known to most of the over one billion people in China, gave a talk in San Francisco in 1991. Seventeen hundred devotees, most of them Chinese, showed up at the Masonic auditorium to listen to Yan. The San Francisco Chronicle on 5/16/91 reported that "minutes into his talk, several began experiencing what Yan Xin calls spontaneous movements." The Chronicle reporter said that "before long, the scene resembled a Pentecostal prayer meeting with many people waving their arms and making unintelligible sounds." Yan told his audience, "Those who are sensitive might start having some strong physical sensations - or start laughing or crying. Don't worry. This is quite normal." The article said that "since 1985, when a Qigong revival started sweeping China, 50 to 60 million Chinese have gone to see Yan." 4) Subud. According to The Encyclopedia of American Religions by J. Gordon Melton, the central element of the Subud faith is the practice of "latihan." Latihan is the way one surrenders to the power of God. It is a group process. The Encyclopedia says, "the latihan proper is a time of moving the consciousness beyond mind and desire and allowing the power to enter and do its work. . . . often accompanying the spontaneous period are various body movements and vocal manifestations - cries, moans, laughter and singing. These occur in the voluntary surrender of the self to the power. During this time, people report sensations of love and freedom and often, healings. All reach a higher level of consciousness"
A false "holy spirit" within the churches!